Congratulations to Katharina Walls, a QTVI from Oxfordshire, for winning our DK braille books competition at the VIEW conference! 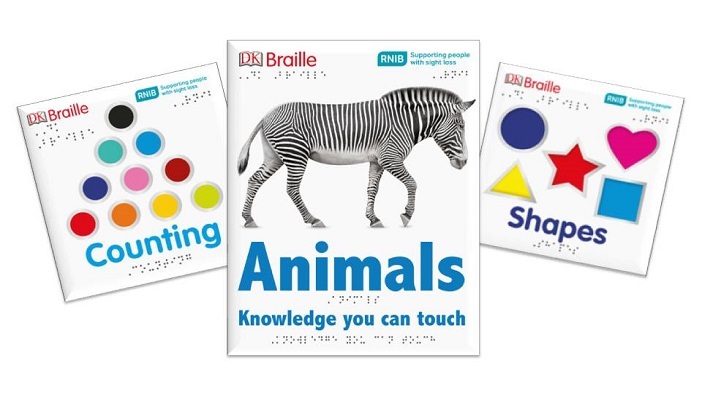 Katherina shares: "I am so pleased to have won these amazing DK braille books. Creating non-fiction books for blind students is a lot of work, however, the skills to scan a page for information and to read tactile pictures and diagrams is very important, so these books will help my students build up those skills. On top of this, they are just so beautifully made that the students and myself will love to read and explore them." Publisher Dorling Kindersley partnered with RNIB to launch the range of children’s non-fiction braille books. Each book combines images with high-contrast colours to maximise any sight that readers may have, and the images are tactile for children to feel with their fingers. Printed text also appears above braille on the page allowing sighted parents, family or friends to read along to create a shared learning experience.